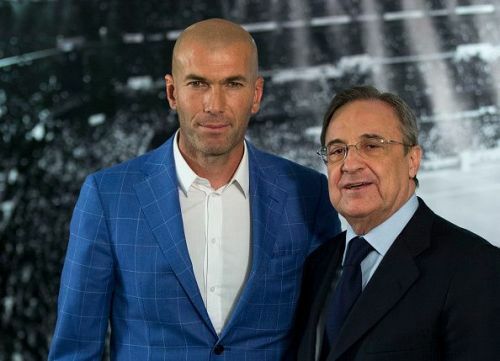 The mood at Real Madrid has changed and it is all thanks to Florentino Perez's decision to bring back Zinedine Zidane. The Frenchman left in the summer and the club have suffered after his departure. At the unveiling ceremony of Zidane, Perez was asked about the transfer targets and one journalist was adamant on getting the president to pick between Neymar and Mbappe. “I’d take them both,” Perez replied with a smirk on his face. “Perhaps we could do something with Mbappe because Zidane is French, but right now the focus is on a strong finish to the season!” he continued. Barcelona and Liverpool have been in the running to sign Matthijs de Ligt for some time now. Real Madrid, Manchester City, Juventus and PSG were also keen on signing him but were blown away when the defender expressed interest in moving to Camp Nou or Anfield. Now, there is another development in the story and reports in Spain suggest that he has picked Barcelona because of Lionel Messi. The defender is set to cost €70M and the Catalan side have made their move. It's just day 1 into his 2nd reign at Real Madrid and Zidane is already planning for the future. The Frenchman has set records straight with the club's board and has already informed them who he wants signed and who has to be sold. Reports in Spain suggest that he wants Dani Ceballos and Gareth Bale sold in the summer. Neither of them are a surprise as they were not preferred by the manager during his first reign too. Another report coming out of Spain is that Zidane wants a squad reshuffle. He wants 5 players signed in the summer and they are Eden Hazard, Paul Pogba, Lucas Hernández, Sadio Mané and Kylian Mbappé.